Samba’s side frames are beautifully woven on both sides. Each panel is design to sit just below the seats frame, so guests remain comfortable throughout their stay. The distinctive gap between the bottom of the woven panel and the side frame visually lightens the chair and highlights the unique sled base angles. 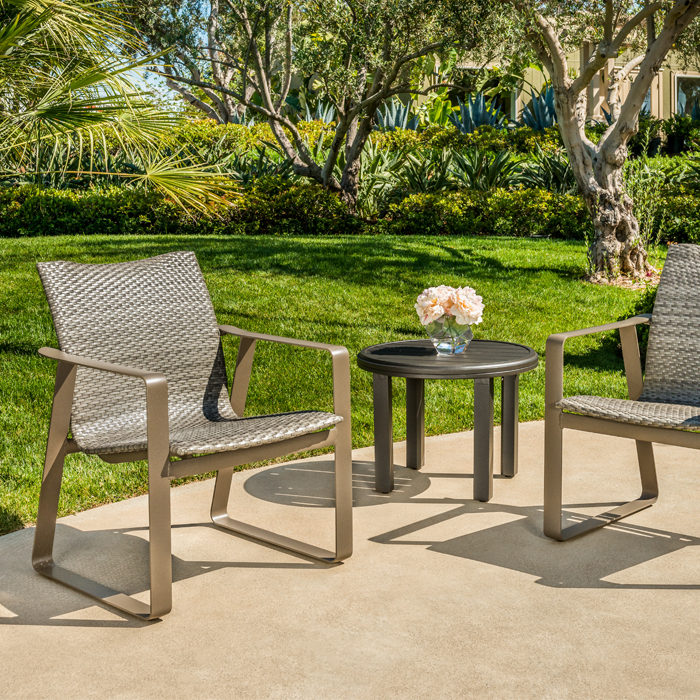 This seating boasts of opulence and comfort, created to enhance the mood of any outdoor atmosphere.